Insider Threat, how do you deal with it ? IndiGo and SpiceJet, the budget airlines, are again in the news. 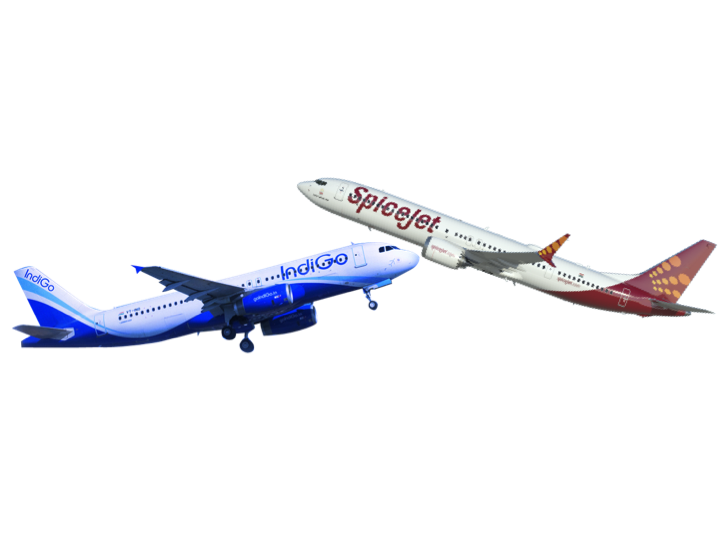 InterGlobe, that runs IndiGo, has accused its former employee of stealing financial and price-sensitive information to deploy and use it in their position with SpiceJet, a competitor of IndiGo. This person quit IndiGo and directly joined SpiceJet in September 2015. After the person resigned, InterGlobe alleged that a routine internal security audit revealed that this person fraudulently accessed the company network and copied a large number of confidential files onto removable data storage devices without consent. While IndiGo, SpiceJet take battle to cyber crime unit, the question that arises is – How could businesses avoid inside threats? Before we answer this question let’s take a look at what insider threat is all about. An insider threat occurs when a current or former employee, contractor or business partner, who has or had authorized access to an organization’s network systems, data or premises, uses that access to compromise the confidentiality, integrity or availability of the organization’s network systems, data or premises, whether unwittingly or wittingly. Insider threats can include fraud, theft of intellectual property (IP) or trade secrets, unauthorized trading, espionage, terrorism, and IT infrastructure sabotage. While inside threat is mostly intentional, in some occasions it is ‘without intent’ or ‘accidental’. With advances in technology and Internet connectivity, there is new threat starting to stare at your face – called the Cyber Insider Threat, which is a Non-Malicious Insider. When it comes to cyber threats, countless data breach reports and incidents have shown that most of the problems are the result of the Insider behind the keyboard. This person is Ignorant, impatient and gullible. They fall prey to social engineering tactics and phishing e-mails used by cyber criminals. Insiders tend to be too trusting and that introduces significant security risks to businesses. A 2017 report that was released from Cisco concerning damages from data breaches provides insights based on threat intelligence gathered by Cisco’s security experts, combined with input from nearly 3,000 Chief Security Officers (CSOs) and other security operations leaders from businesses in 13 countries. According to the report, organizations that suffered a breach, the effect was substantial: 22% of breached organizations lost customers, 40% of them lost more than a fifth of their customer base, 29% lost revenue, with 38% of that group losing more than a fifth of their revenue, and 23% of breached organizations lost business opportunities, with 42% of them losing more than a fifth of such opportunities. So what can businesses do about Insider Threats? Although technology can play an important role in identifying potential insider threats, it is not just an IT issue. It takes an organization-wide approach that includes plan for, prevent, detect, respond to and recover from insider threats. Managing insider threat risk should be part of a holistic corporate security program, from both information security and physical security perspectives. Are they working odd hours, late night, weekends? Do they remotely access servers, database, applications while on vacation? Are they attempting to bypass security controls? Have they joined a competitor or ventured into a similar business? The bottom line is that the days are gone when the CXO’s could happily assume that someone is looking after their cyber security. If you are a business owner you will have to stay a step ahead and rely on various tools and processes to detect anomalies as early as possible before your data, assets or personnel is compromized. While developing a holistic insider threat program is necessary, your direct involvement is a must to a matter as serious as the inside threat. Afterall the future of your company could be at stake. Previous Previous post: What do Gaana, Ola and Zomato have in common?